The Responsibility to Protect (R2P) is a global political commitment to prevent genocide, war crimes, ethnic cleansing and crimes against humanity. It was articulated in the International Commission on Intervention and State Sovereignty (ICISS)’s report in 2001, then endorsed by all United Nations (UN) member states at the 2005 World Summit. It has also been implemented in the Association of Southeast Asian Nations (ASEAN) context. The former ASEAN Secretary General, Surin Pitsuwan, has asserted that R2P offers an important pathway to the establishment of an ASEAN Community. This statement reflects ASEAN’s readiness in capability and institutional commitment to expand the scope of the R2P itself. Nevertheless, the implementation of R2P in the ASEAN context are still a big question mark. Criticism of the R2P, both conceptually and in its implementation in ASEAN, is inevitable. More specifically, the issue and scope of the R2P is still a contested issue and under scrutiny, as the emergence of transboundary issues, mechanisms, and prospect of its implementations in the ASEAN context remains a challenge for the implementation of R2P in this region. 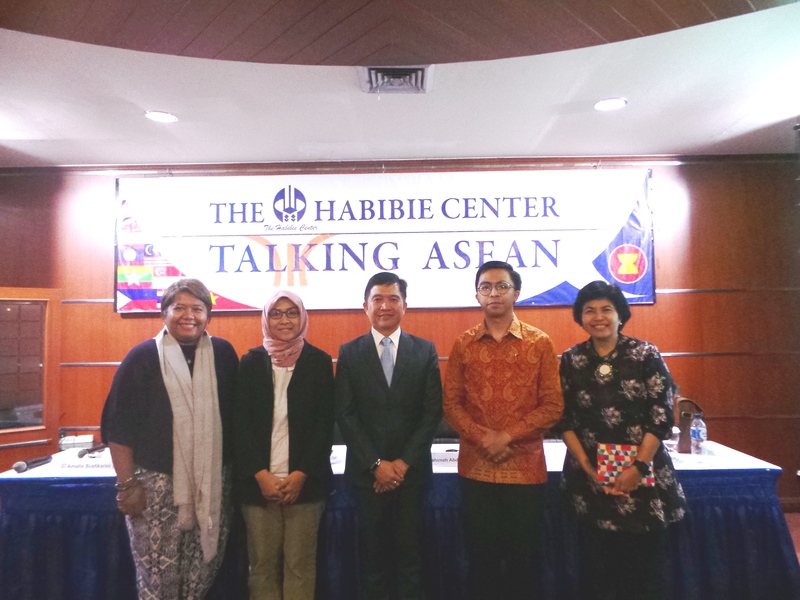 In view of this reality, on 14th August 2017 The Habibie Center (THC) held a Talking ASEAN public dialogue entitled “Mainstreaming R2P and Atrocities Prevention in ASEAN: Relevance, Challenges, and Prospects” at The Habibie Center Building in Jakarta. The objectives of this discussion were to examine the ASEAN Member States’ commitment to the R2P principle in conjunction with that of the UN. In this discussion, one of the Faculty Members of the Department of International Relations at Bina Nusantara University, Amalia Sutikarini, was featured as resource persons alongside Dr. Noel Morada (Director, Regional Diplomacy and Capacity Building) and Benhard Ruben Fritz Sumigar (Program Assistant, Policy Advocacy, Institute for Policy Research and Advocacy (ELSAM)), with Rahimah Abdulrahim (Executive Director, The Habibie Center) as the moderator. During her speaking session, Amalia restated that R2P is not just about intervention. Historically, she explained that the R2P was found as a response of the failing post-Cold War Humanitarian Interventionism and places the concept of Sovereignty as a Responsibility. She outlined the three steps of R2P: State responsibility, International Assistance, and International Intervention. ASEAN has issues with R2P because some members are still struggling with identity issues and from weak nation building. For these countries, the different historical backgrounds, the decolonization process and democratization process were not as advanced as others. To her, the challenges of ASEAN members are about trans-boundary issues and a disruptive era marked by the decline of Liberalism, the rise of populist movements, inequality and identity politics. Furthermore, some see R2P as contradictory to the ASEAN Way of non-interference. ASEAN has faced issues such as the Saffron Revolution, the Cyclone Nargis, and the Rohingya Crisis. It currently faces crisis in the Southern Philippines and Southern Thailand. As a concept, R2P is between Liberalism and Realism by uniting human rights and state as the main actor. Amalia stated that for ASEAN to move forward, it needs societal and governmental engagement. A constructivist approach must be taken by societal level to introduce the notion of a collective responsibility. Ideas such as legitimacy and authority should be integrated to local ideas. On a governmental level, we need to reinvent Liberalism. For instance, she mentioned that we need to address the underlying problems of conflict (risk factors), then work on an Early Warning System, and finally an ASEAN peacekeeping force. 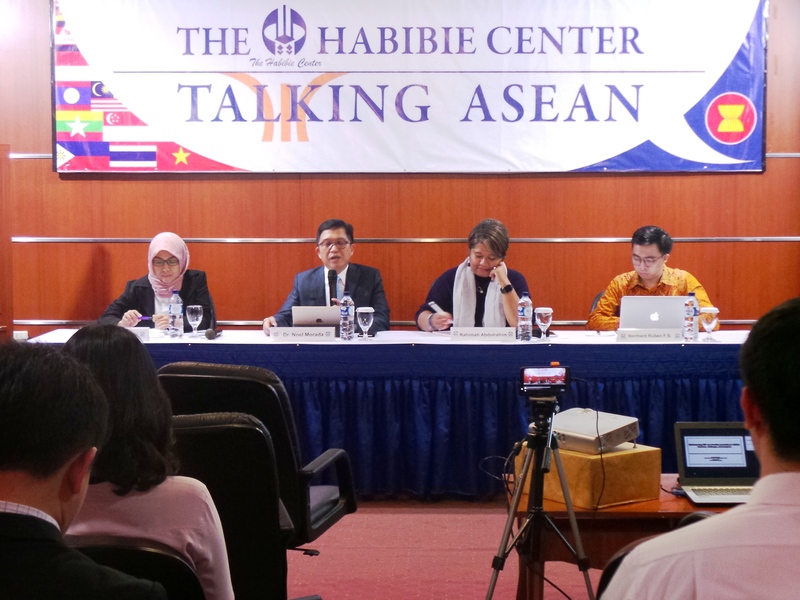 The Talking ASEAN discussion report on R2P can be viewed here.